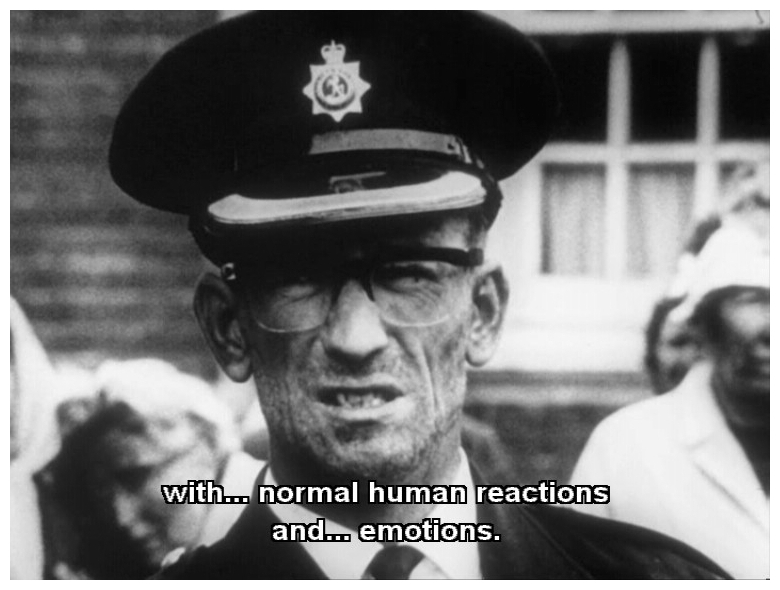 Where Stanley Kubrick approached the subject of nuclear war with cold irony in Doctor Strangelove (1964), British filmmaker Peter Watkins used anger and outrage bordering on the hysterical in his pseudo-documentary The War Game (1965) which showed a nuclear attack on England and then concentrated on the aftermath in a small town in Kent. 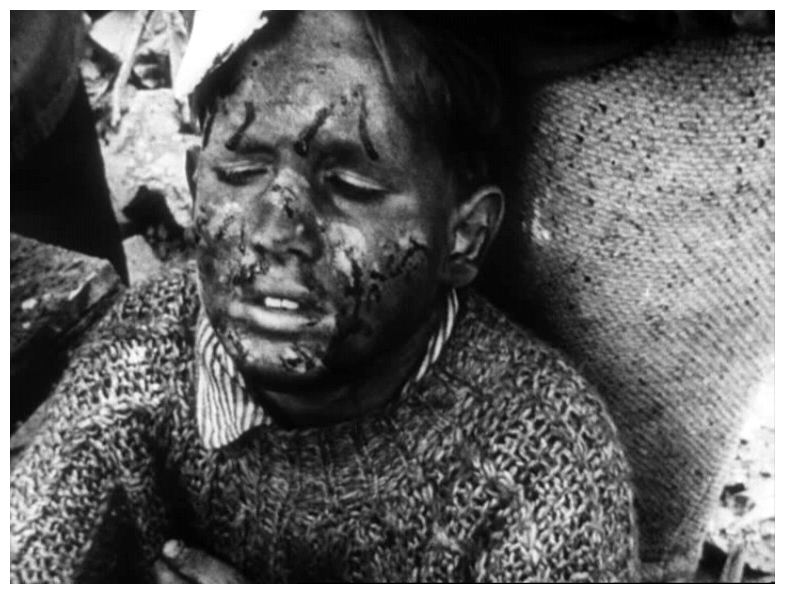 Though clumsily made it is full of shattering images: the glare and concussion of the bombs; the raging firestorms; the hideously disfigured casualties; the torment and slow death from radiation poisoning; mass cremations; buckets of wedding rings being gathered from the dead; execution squads composed of English policemen shooting looters. 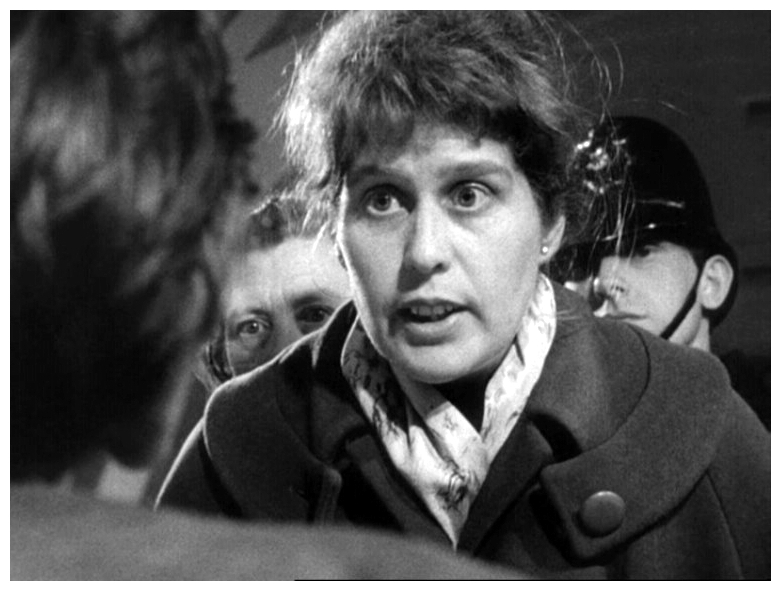 The film mixes scenes seemingly shot by a newsreel crew with other scenes filmed in a documentary style (handheld single camera with available light) in situations that contradict the presence of a camera. 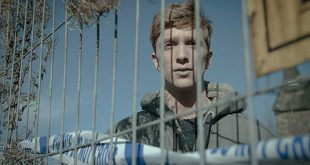 The offscreen narration is a bland voice that sometimes speaks as if the events shown have already taken place, giving dates and times and using past tense, then switches without warning to an instructional mode or ‘what if?’: “If evacuation plans were carried out, scenes like these would be almost inevitable,” or “This could be the way the last two minutes of peace in Britain would look.” Mucking about with narrative strategies makes the viewer even more uncomfortable, and is almost as compelling as the devastating imagery. 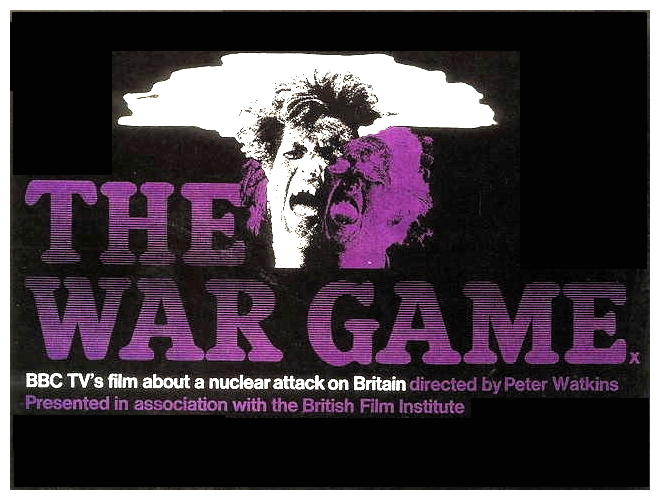 Despite its faults the film creates a graphic picture of nuclear war and also demonstrates just how ineffectual civil defence organisations would be in such an event, all of which explains why the British Broadcasting Corporation (BBC) refused to screen it. 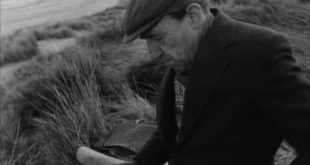 Despite having been produced by the BBC, the film was banned from television broadcast. The official reason was for violence and depiction of human suffering, but others hinted that it may have been because it went against the official government line concerning survivability of nuclear attack. “It is too horrific for the medium of broadcasting. It might disturb audiences,” explained a BBC spokesman at the time, which is exactly what the film was designed to do. While the ban forbade television broadcast, it did not forbid cinematic distribution. 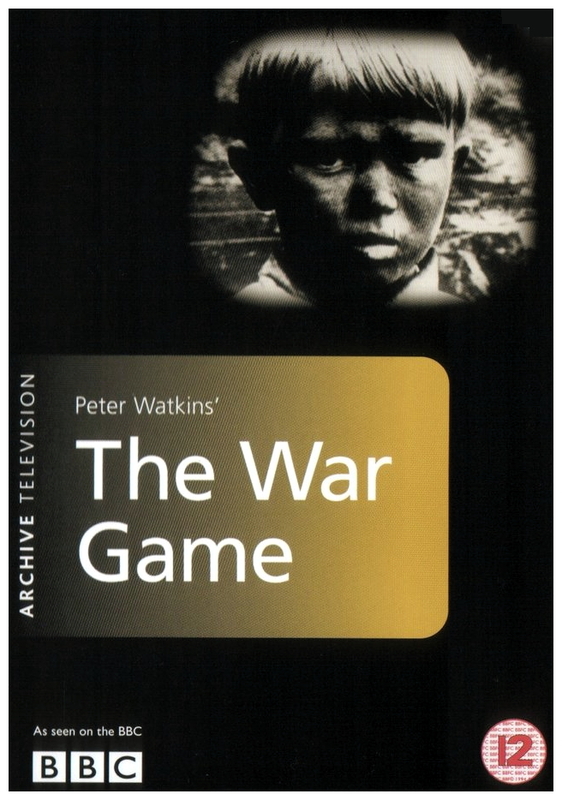 Because of this loophole, The War Game received a wide theatrical release and even won an Oscar in 1966 for Best Documentary Feature, even though it’s not really a documentary nor a feature (less than 50 minutes). As a matter of fact, it’s the only fictional film to ever win this particular award, and the Academy of Motion Picture Arts and Sciences were forced to change their rules regarding eligibility for this category. 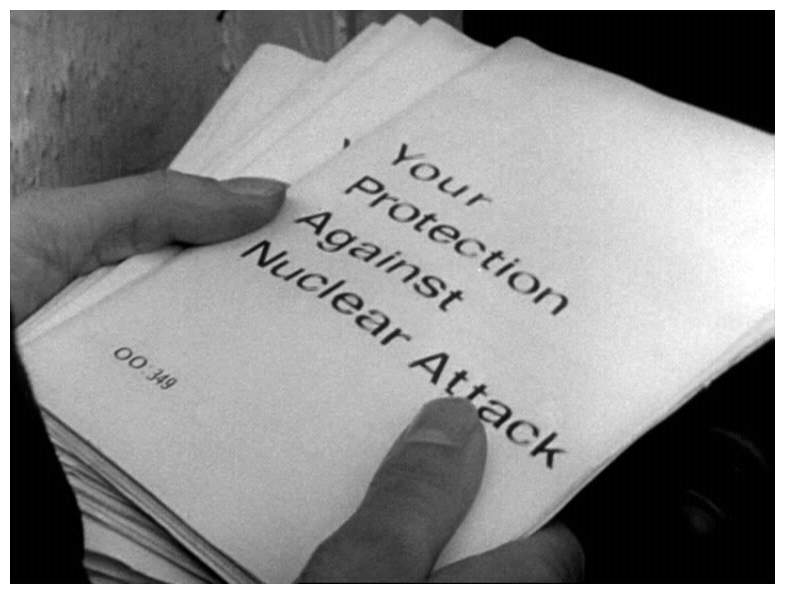 The film finishes with more words of warning: “On almost the entire subject of nuclear weapons, on the problems of their possession, on the effects of their use, there is now practically a total silence in the press, in official publications and on television. There is hope in any unresolved and unpredictable situation. But is there a real hope to be found in the silence? The world’s stockpile of nuclear weapons has doubled in the last five years, and now is the equivalent to almost twenty tons of high explosives to every man, woman, and child on the planet. This stockpile is still steadily growing.” It’s with this sobering thought in mind I’ll bid you a fond farewell, and I sincerely look forward to your company next week when I have the opportunity to put goose-bumps on your goose-bumps with more ambient atmosphere so thick and chumpy you could carve it with a chainsaw, in yet another pants-filling fright-night for…Horror News! Toodles!